As we grow our business and technology consulting practice, I travel both in the US and Canada, meeting with a variety of lenders in multiple industries. Over the years, I’ve noticed that almost every lender I meet with has a different interpretation of the definition of the term Loan Origination — where it starts, the various stages within the process and where it ends. In considering all viewpoints it is important to take a holistic view of the originations life-cycle. Irrespective of the loan type (i.e. loan, line of credit, lease) or whether your approval process is manual or automated, lenders have and are proud of their “secret sauce” when it comes to loan origination. After all, it’s what makes them stand out from their competition. A few examples I have witnessed recently are the quest of one lender to approve loans other lenders might not improve, using alternative data to make the right loan choices, and using SMS to keep customers in the loop about the status of their loan application. The loan origination department is responsible for managing everything from the pre-qualification stage to funding the loan. 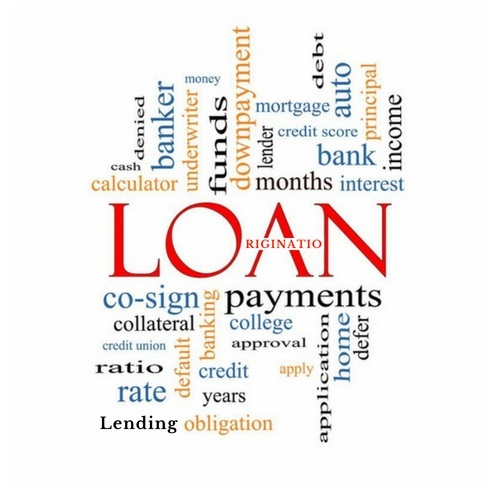 Below are seven stages I feel are the critical components of loan origination process. Once this information is submitted to the lender, it is typically processed and a loan pre-approval is made, allowing the borrower to continue in the process to obtain a loan. completes the loan application. Sometimes a paper application is completed, but more often today, an electronic version is completed and submitted by the prospective borrower. New technologies allow completing the application online or through a mobile app, and collected information can be tailored to specific loan products. 3. Application Processing – When the application is received by the credit department, the first step is to review it for accuracy and completeness. All required fields must be filled in, otherwise the application will be returned to the borrower or the credit analyst will have to reach out to the borrower to procure the required missing information. Depending on the technology employed by the lender, a sophisticated Loan Origination System (LOS) can automatically flag files with missing required fields and return it to the borrowers to re-work. Depending on the organization, exception processing might be part of this process, or manual loan processors can review each application for completeness. 4. Underwriting Process – When an application is deemed complete, the underwriting process begins. The company runs the application through a process of taking a variety of components into account: credit score, risk scores, and many lenders will generate their own additional unique scoring criteria that are unique to their business or industry. Sometimes this process is fully automated; other times it is manual or a combination of both. Underwriting guidelines can be loaded into the LOS. 5. Credit Decision – Depending on the underwriting process, the file can be approved, denied or sent back to the originator for additional information. A denial may be revisited if certain parameters are changed, such as a reduced loan amount or different interest rates to lower payments. 6. Quality Control – Since consumer lending is highly regulated, the quality control stage of the loan origination process is critical to lenders. Typically the application would be sent to a quality control queue where the final decision and other critical variables can be analyzed against internal and external rules and regulations. This is essentially a last look at the application before it goes to funding. necessary documents are executed before or together with funding. I hope you enjoyed this post and if you have a few more minutes, you might enjoy reading a post I wrote a while back called Six Auto Loan Origination “Must Haves.” Although I wrote it for the Auto Industry audience, I feel it applies to other industries as well. 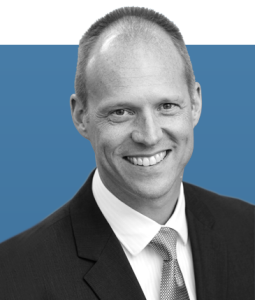 Andrew MacDowell has over two decades of senior management experience in the credit card industry with Fortune 500 financial institutions such as MBNA Corporation and Bank of America. Andrew has specific expertise in areas such as Business Development, Loyalty Marketing, Corporate Project Management, Bank Operations, Payments, and Fraud. Most notably, Andrew was a key founding stakeholder of MBNA Canada during its peak growth phase in the Canadian marketplace, which ultimately led to it becoming the largest MasterCard issuing bank in Canada. Andrew is the product owner of Lending and Leasing as a Service (LLaaS), a DecisivEdge software solution built for small to medium sized lenders. Andrew is a graduate of Georgian College where he holds a diploma in Business Administration and majored in Marketing Management.